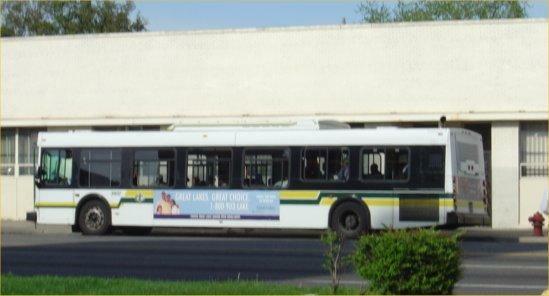 Snyder discussed DDOT busses during his townhall meeting online Wednesday. DETROIT (AP) — Bus drivers in Detroit want better security after they say at least eight drivers were hospitalized after attacks by riders in the past nine months. Fred Westbrook, president of Amalgamated Transit Union Local 26, tells the Detroit Free Press that Tuesday's rally also was organized to let riders know that drivers are frustrated about crowded buses, buses running late and a lack of police protection. Ideas for improving security include creating a transit police for the Detroit Department of Transportation. Another rally is planned for October. Officer Dan Donakowski tells The Detroit News that police met Monday with DDOT representatives and offered training to drivers. He says drivers also plan to provide police with information about routes where assaults have taken place so police can step up efforts. Bus riders in and around Detroit will enjoy some updated buses, thanks to a federal grant. Leaders officially announced a $30 million grant for regional transit systems Monday. It was the third-largest amount dispensed to any metro area nationally from the U.S. Transportation Department’s State of Good Repair grant fund. There were some testy exchanges at a Detroit City Council hearing on bus service Monday, as Council members and citizens wanted to know when they can expect the city’s notoriously bad bus service to improve. Department statistics show that city buses miss stops or otherwise fail to service their routes about one-third of the time. Transit advocates suggest that number is probably too low. Detroit leaders are promising better service for the city’s more than 100,000 regular bus riders. Officials phased in what they’re calling the "415 plan" this past weekend. It promises service every fifteen minutes along the city’s four busiest bus routes during peak riding hours (6 am-6 pm). Detroit Mayor Dave Bing turned bus management over to a private firm, Parsons Brinckerhoff, earlier this year. He credits them with improving service. But the four-fifteen initiative comes on the heels of cutbacks to other city bus routes, and the elimination of overnight service. And while timely service has improved, city officials admit it’s still a long way from where it needs to be. In a report released just last week, the transit advocacy group Transportation Riders United gave Detroit’s bus system a “D-minus” grade—with only 63% of buses arriving on-time. Detroit Mayor Dave Bing says a new CEO and new fleet of buses will help turn around the city’s struggling transportation department. The Detroit Department of Transportation has been struggling for months to put enough buses on the streets. In what the city calls a bid to both improve service and cut costs, they’ve brought in a private contractor to manage the bus system.